I cannot lie. The kid inside of me squealed a bit when I spotted these shiny, colorful boxes on the shelf at Whole Foods this afternoon. 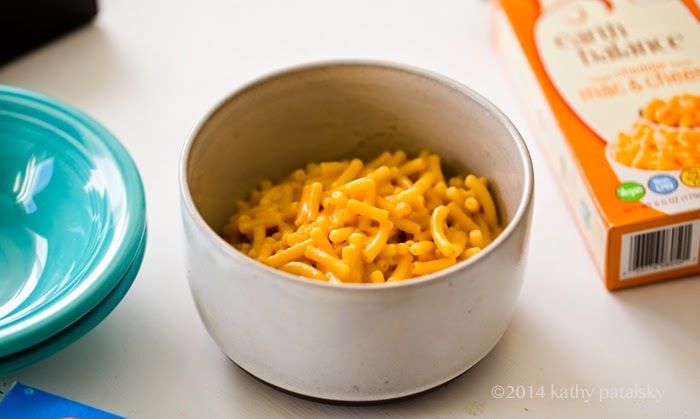 And the funny thing is, when I was a kid, my mom rarely (maybe only a handful of times) made that classic Kraft blue box, kid-craved Mac & Cheese. I think I had it over at friends houses more than anything. And I actually never really liked it all that much. 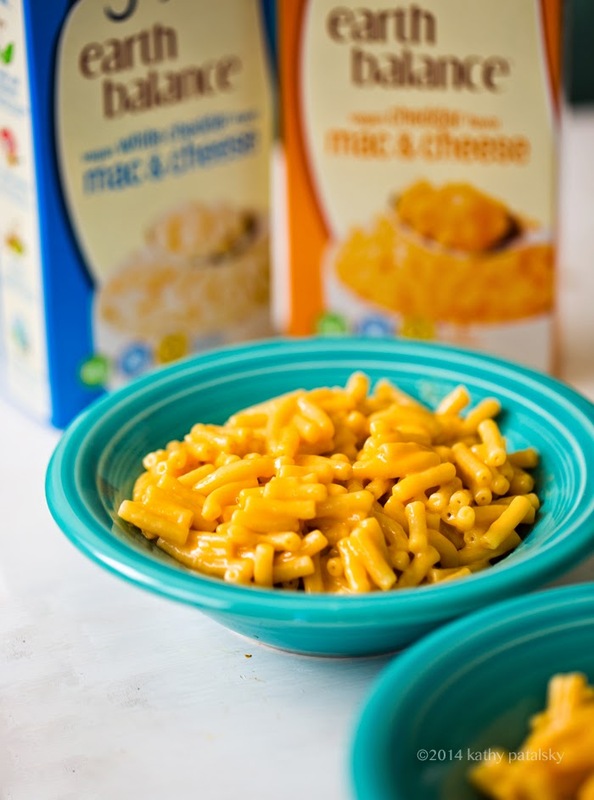 But the idea of "boxed Mac and Cheese" is so ingrained in our culture as "fun comfort food" that when I saw these orange and blue boxes with the label marked vegan, I simply HAD to try them. 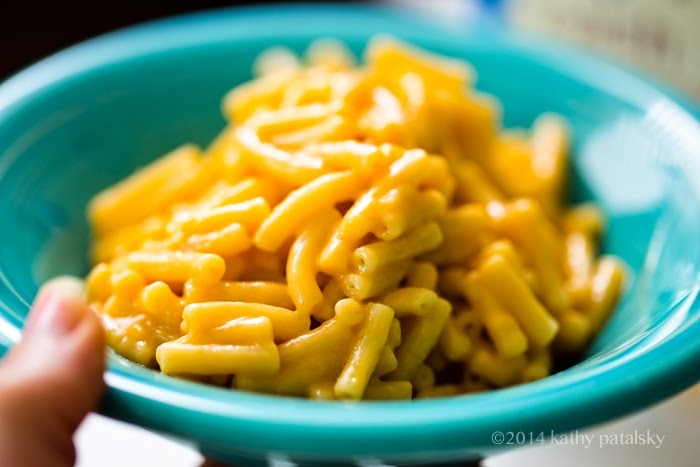 Because really, boxed Mac & Cheeze just makes me happy. And I know next time I am making dinner for picky eater kids (or friends or husbands!) these boxes will come in handy. That is, if they deliver on their yummy promises. Made this in a flash..
Lotsa COZY going on here today. Kinda like this.. But actually more like this..
Was it easy? Yes. I made this in about 12 minutes. 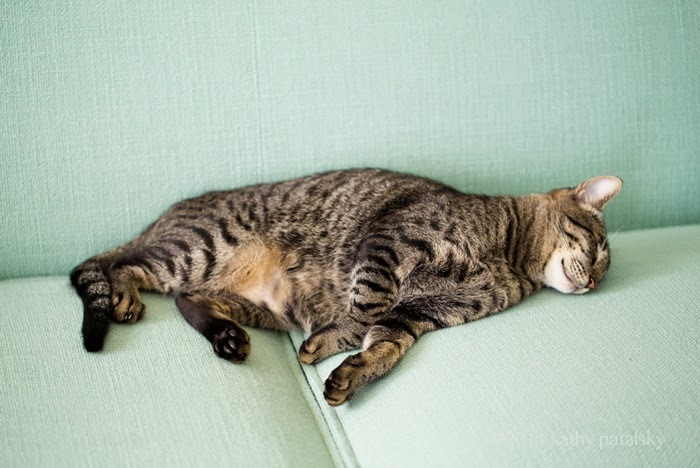 Ten minutes to cook the pasta. One minute to add the ingredients for the sauce. Another minute to pour into a bowl. Boom. Done. Did it look like I expected? It was a bit less ORANGE than I thought it would be. I would remedy this by adding some turmeric and or nutritional yeast. The texture was even silkier than I expected. The flavor was about what I expected, maybe even a bit better! Did it taste good? Yes. No complex flavors here. Wheat pasta. Cheezy sauce. Vegan ingredients. It was salty and cheezy and savory in a lovely cheddar sort of way. The white cheddar (which I have yet to try) will probably be delicious as well. The cheddar flavor was nice and sharp! Kids would love this stuff and never even know the difference between vegan and non. Seriously. Was it a deal? Yes. A few bucks. Not as cheap as the blue box, non-vegan stuff, but that is fine with me. 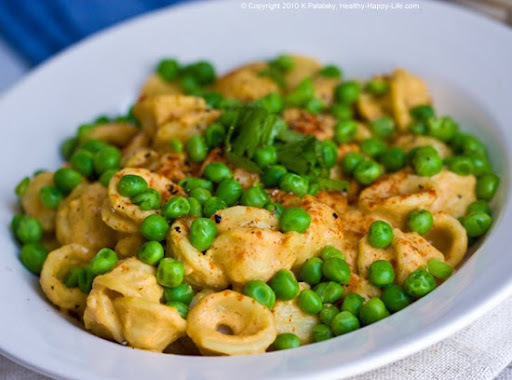 And yes I could totally make this myself using nutritional yeast, spices and my own pasta. But I just love the serving size of this (perfect for two!) and it is a grab-n-make meal when you just want comfort food in a flash. Would I buy it again? Yup. Compared? I also love Edward and Sons vegan cheezy boxed pastas. I really love that E&S does glutem free options. And their sauce is a bit thicker and nuttier. 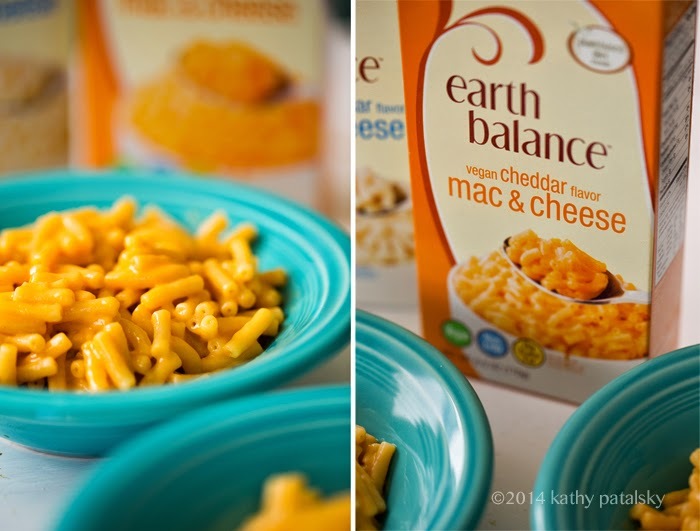 But Earth Balance really mimics the classic Kraft Cheezy Mac VERY well. I love both brands now. How would I change things? I would add a gluten-free pasta option. 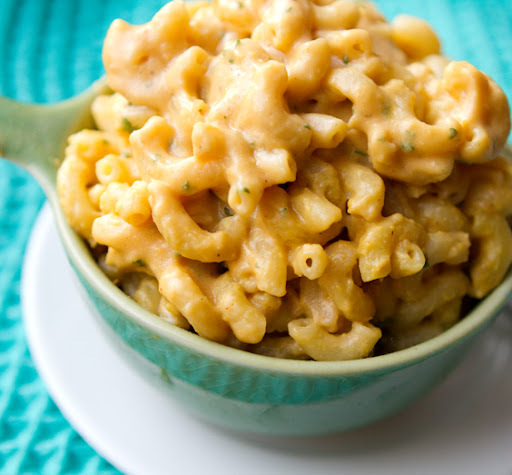 I would also add another flavor option with something unique and interesting like creamy jack cheese with garlic and sun-dried tomatoes Mac N Cheese. Just saying.. I would also make this and add loads of veggies to the bowl. 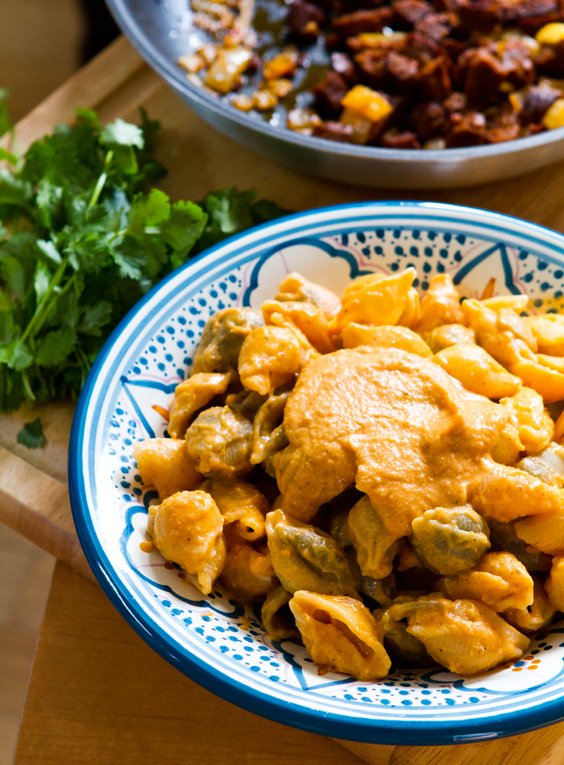 Peas and broccoli pair BRILLIANTLY with vegan mac and cheese. Spinach too. I would also add more nutritional yeast or vegan Parmesan over top just because. Nooch also adds some more nutrients as well. 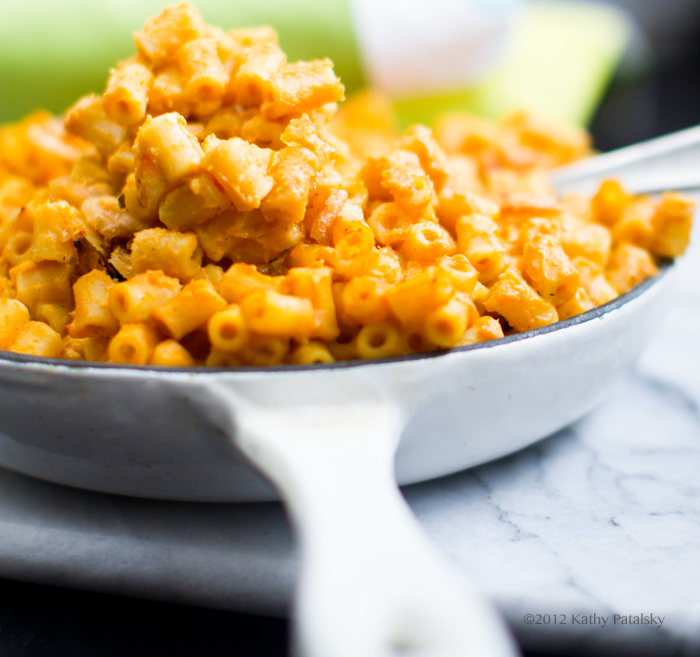 Here is how I make boxed vegan Mac and Cheese AMAZING. Who will love this stuff? Kids, adults, college students, lazy people, tired chefs, anyone who like non-snobby food! The flavors are VERY one note and simple. But hey, that is what you signed up for right? Pasta and cheeze wit silky sauce appeal. Where can I find it? I found mine in the pasta aisle at Whole Foods Santa Monica. Look for it in a store near you and if they do not have it, ask. Earth Balance will thank you. What if I cannot find it?? Well then do not fret. 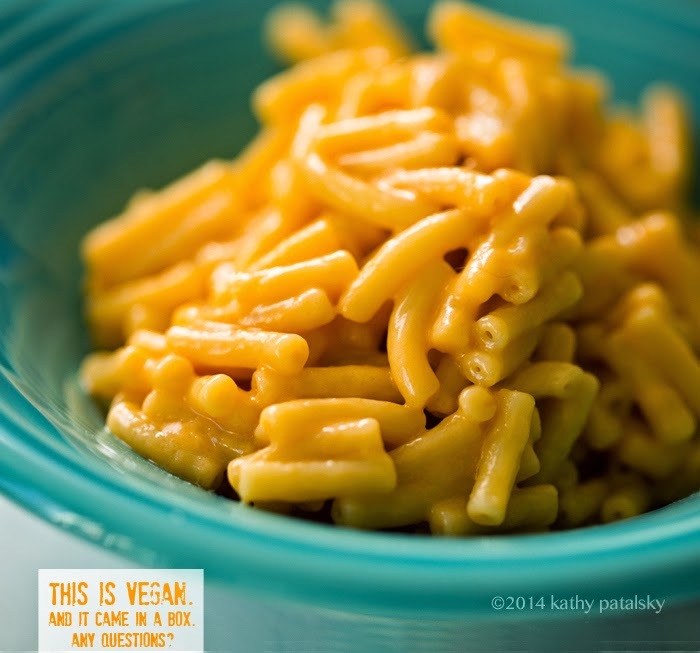 You can easily make vegan Mac and Cheese at home via my recipes. I know you will miss the BOX. but hey. 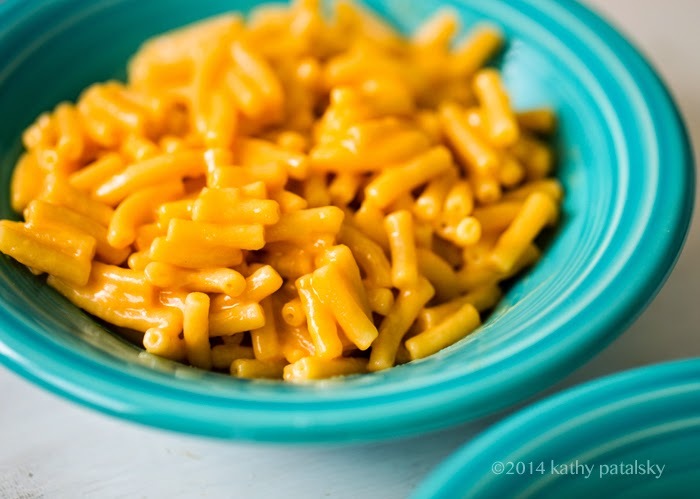 Life is not always a box of Mac and Cheese. You have to improvise. So with that, some recipe suggestions!.. * Mac and Cheeseless Pasta Baked. * Cheese Peas and Pasta. 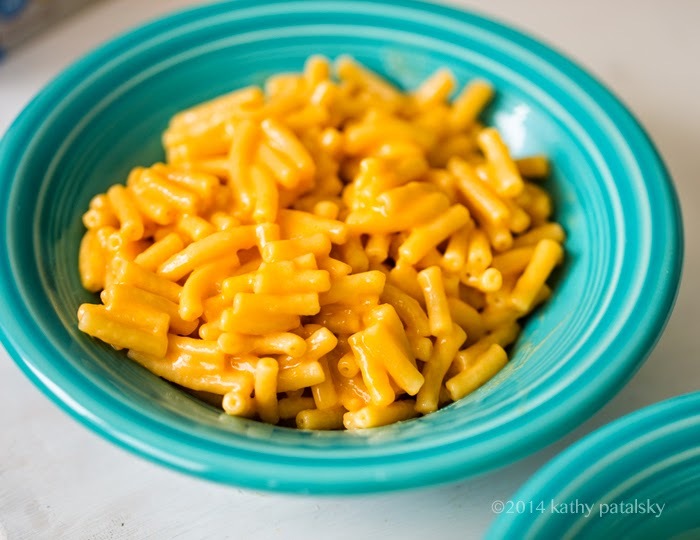 * Fake-Out Mac and Cheese. 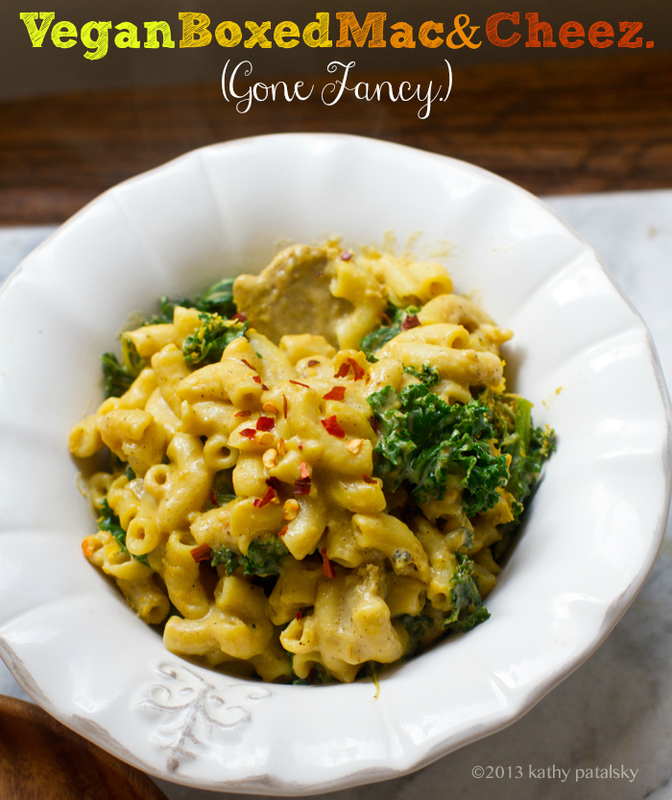 * Boxed Mac n Cheez Gone Fancy. * Spicy Chipotle Shells and Cheese + vegan sausage on top. And some info on nutritional yeast flakes.